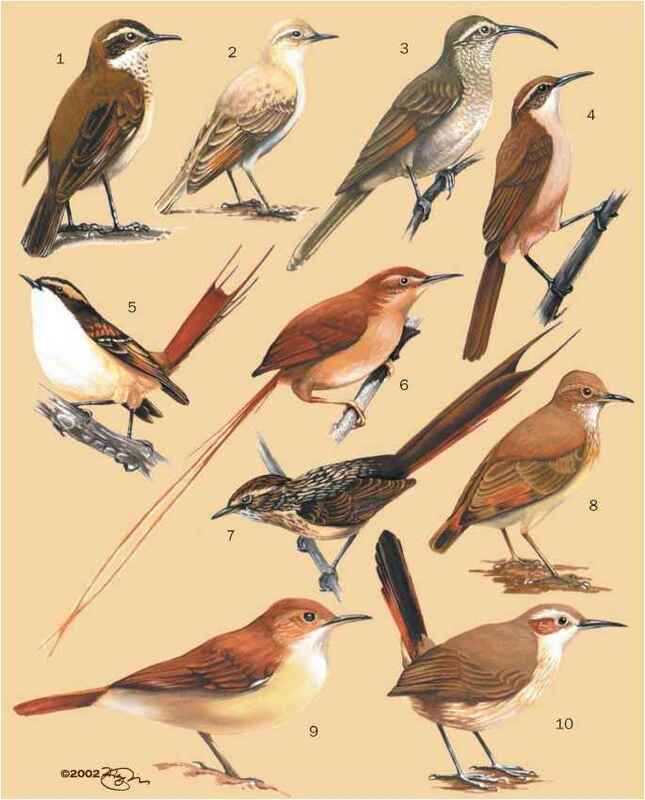 Both species of scrub-bird have very restricted ranges, with the rufous scrub-bird (Atrichornis rufescens) confined to the central east coast of Australia and the noisy scrub-bird (A. clamosus) occurring only in the far southwestern corner of Western Australia. The two species are therefore on opposite sides of the Australian continent, separated by a distance of almost 2,000 mi (3,200 km) of mostly arid or semiarid lands. This current pattern suggests that scrub-birds were once distributed more widely when moist forests covered much of southern Australia during the middle Tertiary, before the continent started to dry out about 16 million years ago.